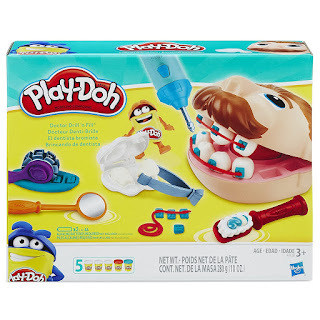 Right now you can get this Play-Doh Doctor Drill 'n Fill Retro Pack for ONLY $9.62 (Retail $14.99)! Playing dentist is sure to create smiles again and again - literally! Kids can feel what it's like to be on the other side of the dentist chair with the classic Play-Doh Doctor Drill 'n Fill set. Shape some teeth, make braces, buzz the cavities away with the electric drill, and more!